Skipping the gym to opt for at-home workouts? Great! It's an easy way to just jump out of bed and get your sweat on (plus, be able to shower in the comfort of your own home). But where to begin? Here's your start-to-finish guide to at-home workouts — what home gym equipment you'll need, how much space you should set aside and a huge variety of workouts to choose from, including body-weight abs workouts, no-equipment HIIT workouts and full-body workouts with only a few key pieces of equipment. So get ready to build muscle, boost your metabolism, lose weight or whatever your fitness goal happens to be right from your living room (or basement, bedroom or bonus room). One of the best things about exercising at home is that you don't need a ton of equipment to get started. You can get a heart-pumping, calorie-torching workout with just your own body weight. But if you have a little extra room in your budget, you have several options to build out your workout space with home gym equipment. Now that you have all your equipment, where are you going to set up your home gym? And how much space do you need for your at-home workouts? 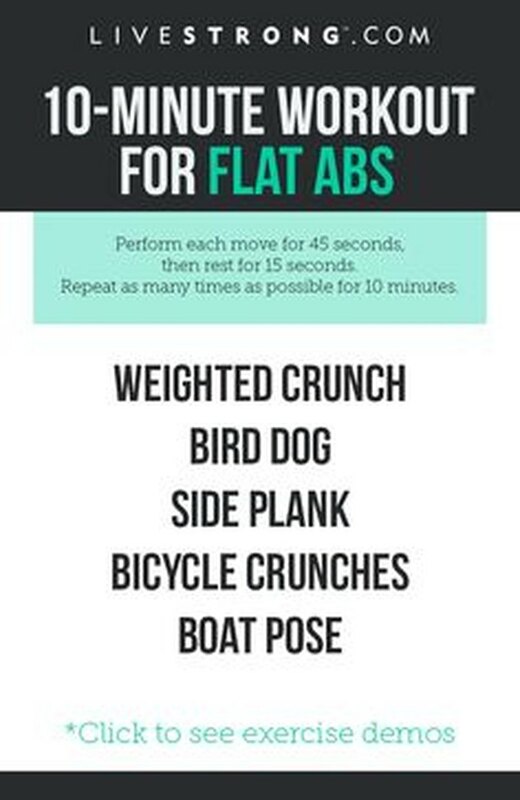 One of the most common places is your living room, since you likely have space already cleared (or easily clearable) in front of your sofa and you can connect to your TV for video workouts. On the other hand, you may be one of those lucky people with a full, finished basement. In that case, you can build out as fancy a home gym as you desire. Stock it with a rack of dumbbells, haul a treadmill down there and put down a large mat for your stretching and cool-down sessions. And now to shed some light on the often asked question: How long should at-home workouts be? Again, the answer depends on you and your schedule. 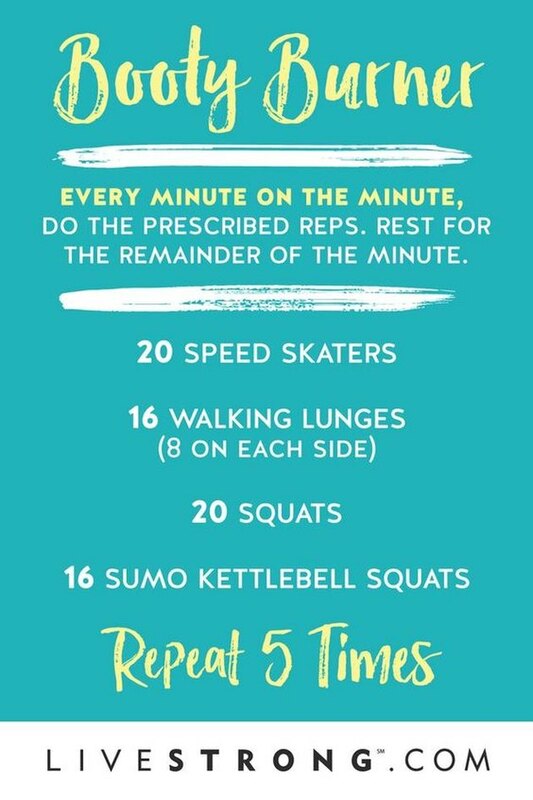 Thirty minutes is a great starting place, especially for beginners, but you can get a good workout in with as little at 10 minutes. And on the other extreme, you can go as long as 60 to 90 minutes if you've built up a solid base of fitness first. Put your workouts on the calendar. Pick a time each day when you plan to work out and stick to it! The time can change from day to day and week to week, but the point is: Treat each workout like a non-negotiable appointment with someone very important — YOU! Eliminate all distractions. It's tempting to check phone notifications, change the laundry over or tend to crying kiddos in between sets. But workouts are you time! And as long as everyone else in the house is safe and healthy, let them know that you'll tend to any problems after your sweat session. Go to bed in your (clean) workout clothes. If you're having trouble sticking to your morning workout commitment, try sleeping in your workout clothes (just make sure they've been recently washed). That way, all you have to do is roll out of bed and get going. Put all your equipment in one place. Having to stop your workout so you can go grab your weights or resistance bands takes you out of the zone and makes it easier to quit mid-workout. So gather everything you'll need for your workout before you start. Wear the right shoes. Unless you're doing something like yoga or Pilates, you'll want to wear shoes during your workout — you don't want carpet burn! If you're worried about tracking dirt in, have a separate pair that you only use for at-home workouts. Keep water nearby. Sure, water's only a few steps away in the kitchen, but just like having all your equipment at the ready, it's important to have a full water bottle within arm's reach during your workout. Pump up the jams. Having a rocking workout playlist can help motivate you to get through your workout. Set one up beforehand with all your favorite, high-energy tunes to power you all the way through. 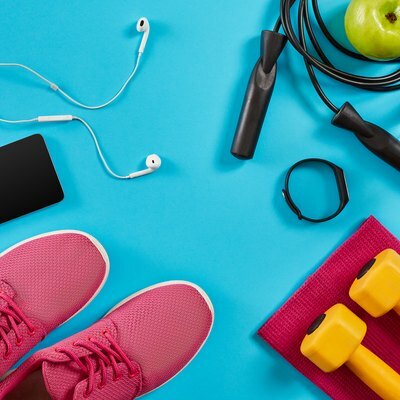 Building your own workout, filled with all your favorite exercises helps ensure that you'll enjoy — and actually stick with — your workout routine. But since the options for at-home exercises are nearly limitless, we've narrowed down the list to a few of the best, based on what equipment you have available. If you're new to working out, it can be a bit overwhelming knowing where to start. Once you've set up your home gym following the advice above, it's time to start sweating! In general, it's best to start with full-body, body-weight workouts that let you get used to the proper form of an exercise before adding weight. Finish the workout with a three- to five-minute cool down of stretches, holding each stretch for about 20 seconds. Another great option for beginners is finding short, simple workouts on YouTube. LIVESTRONG has tons of great, beginner-friendly, at-home workouts on our YouTube channel. 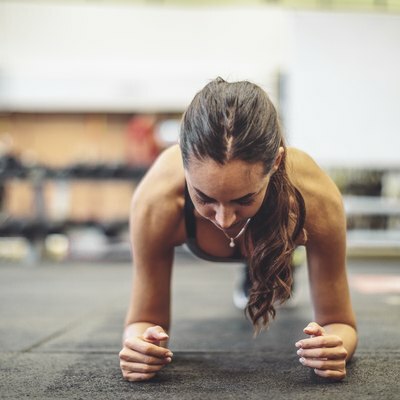 If you're looking to target a specific part of your body — you want six-pack abs or a bootylicious backside, let's say — we've rounded up the best of LIVESTRONG.COM's at-home workouts and broken them down by the body parts they target. Or maybe you've fallen in love with high-intensity interval training (HIIT) or can't live without CrossFit. You don't need to hit the gym or box to do your favorite workout. With a few easy modifications, you can do them at home. Strength Training at Home: who needs the gym? Though the exercises themselves don't discriminate between men and women, in general, there's often a difference in men's and women's fitness goals (though, of course, there are exceptions to every generalization). So guys, here are a few workouts you may want to try. And ladies, there's nothing stopping you from doing them, either. As mentioned above, there's nothing special about these workouts making them only for women. But if you find yourself wanting a workout for women, by women, try one of these. You can mix and match from workouts you find online to build your own workout schedule. Or you can find a bit more guidance with one of the apps, ebooks or video series below. Sworkit: input fitness goal, get workout, go! STRONGER: an 8-week, at-home, body-weight workout program with celebrity trainer Nicky Holender that's totally FREE! Ready to go? Fantastic! Here are just a few final safety tips to make sure you stay injury-free during your at-home workouts. Clear some space. Make sure you have plenty of space to do all of the moves in your workout. You don't want to run into a table or stub your toe on a couch in the middle of your workout. If you're unsure, do one rep of each exercise before you start to see if you have enough space. Practice proper form. If you don't know how to do an exercise properly, watch a video or ask a trainer. Then practice the move a few times before you do it in your workout. Always do a new exercise without any weights a few times before adding weight. If you're a newbie, you may want to start with all body-weight exercises. Always warm up first. You may be excited to jump into your workout, but your body needs time to catch up to your brain. So start with at least three to five minutes of light activity, cardio drills and mobility exercises to get your heart pumping and your muscles warm. Don't overdo it. When you're at home alone working out, there's no one to impress. So there's no need to grab the super heavy dumbbells right off the bat. If you're doing a weighted workout, you should pick a weight that you can safely do all the reps of an exercise with but that challenge you for the last two reps.
Never skip your cool down. Don't abruptly stop your workout at the end. Walk around the room for a few minutes and do some stretches before you call it quits. Hold each stretch for 15 to 30 seconds. This gives your heart rate time to return to normal and releases some of the tension that's built up in your muscles.